NEW! 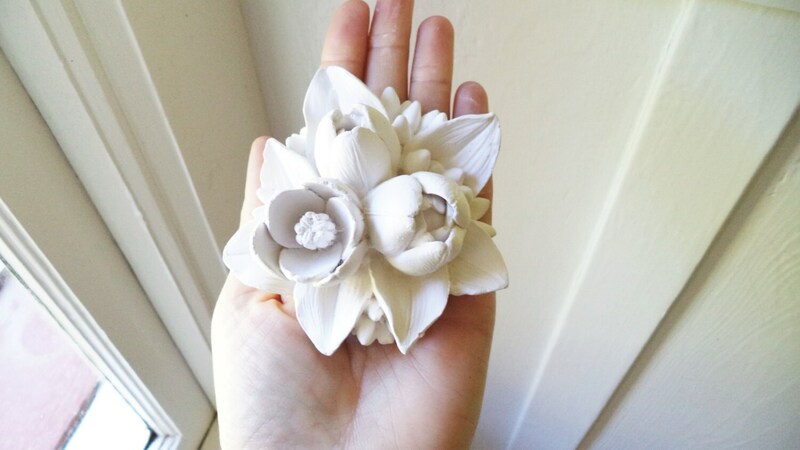 My lotus flower ring dish has been so popular, that I am creating an entire flower ring dish collection! 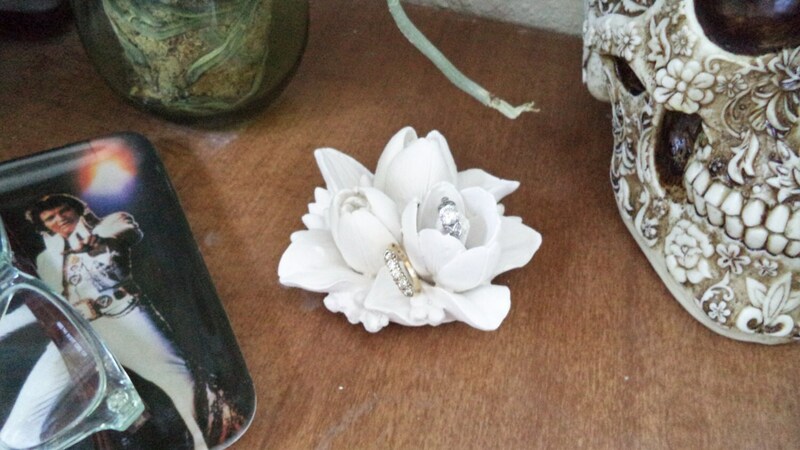 See my shop for more options. 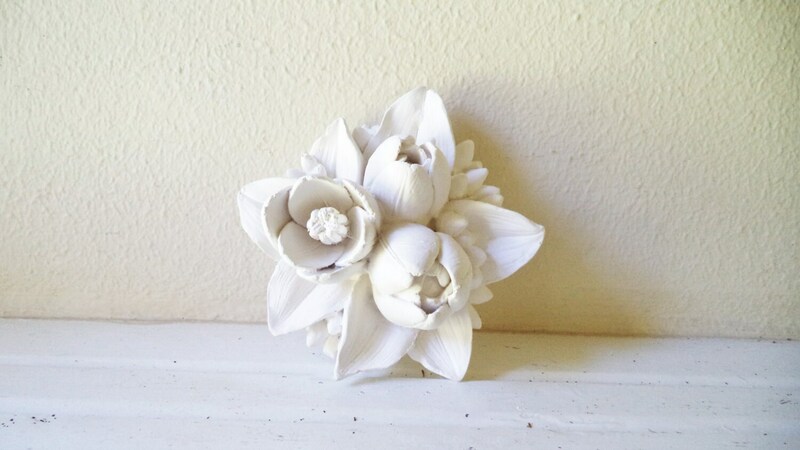 This is a cluster of Water Lily flowers, shown here in matte white. 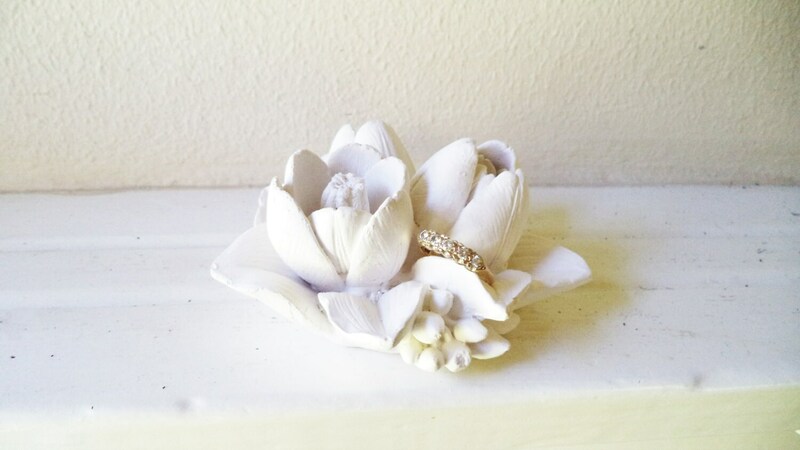 The blossoms and leaves create sweet areas to nestle your treasures! 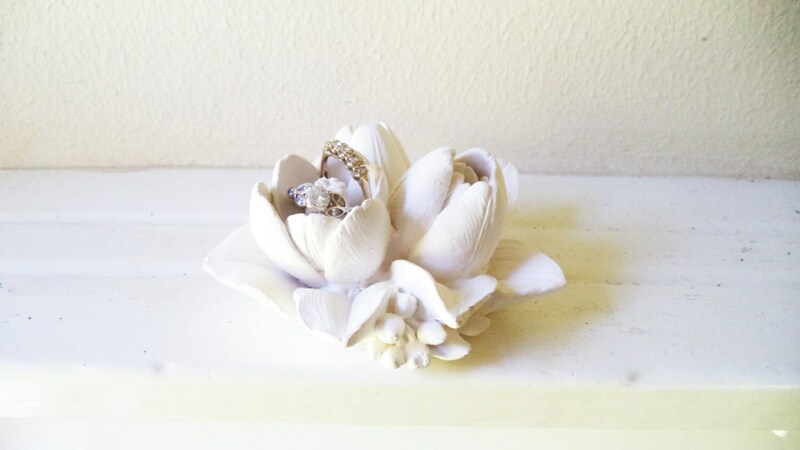 Perfect wedding gift, engagement gift, or how sweet as gifts for your bridal party! Adorable! This looks great on my dark desk and arrived just as described!